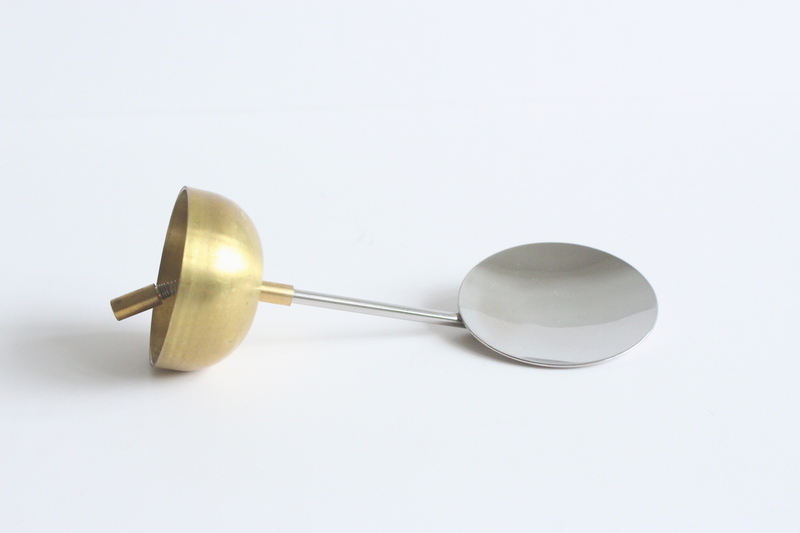 This spoon is made of stainless steel and brass. 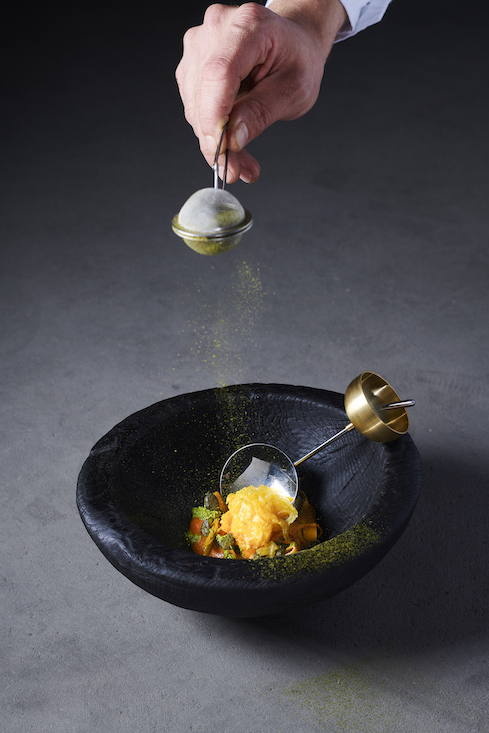 The spoon is all about sound. 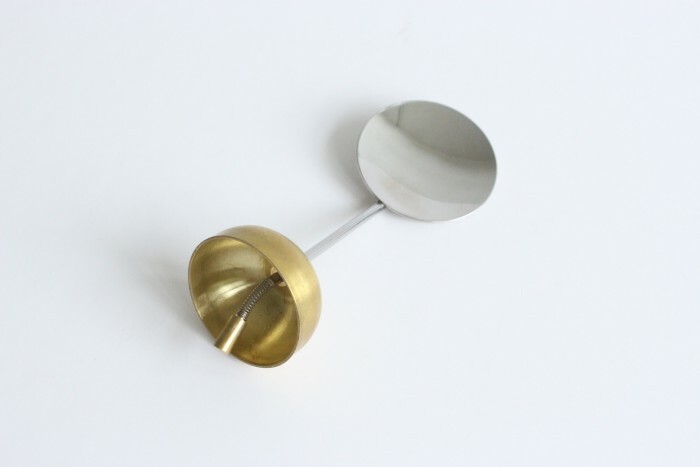 Part of the “MaterialAcoustic” project by Stian Korntved Ruud, for which he created a series of modular eating instruments. 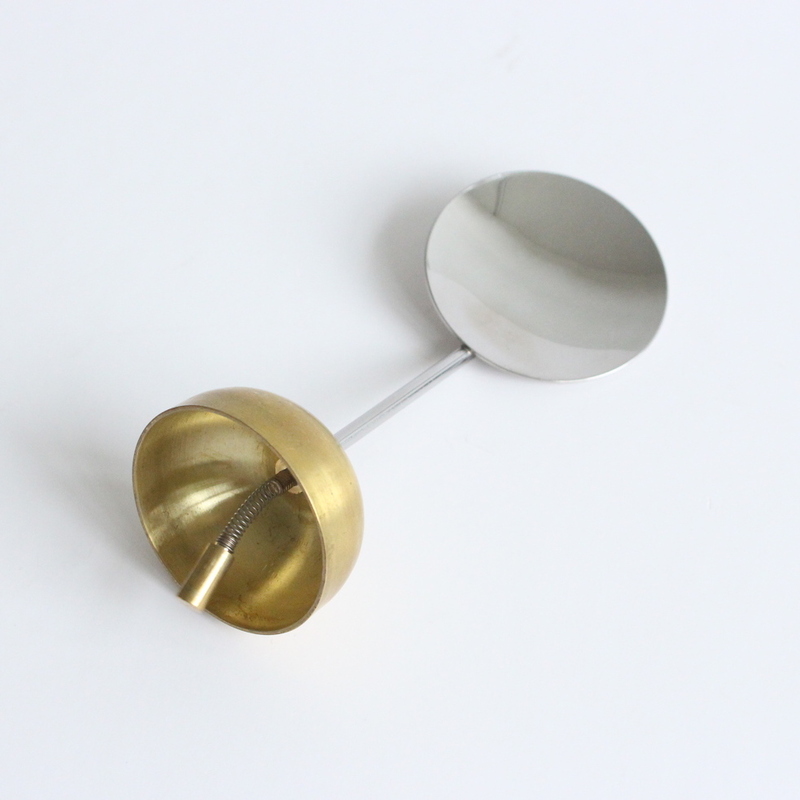 The piece consists of a stainless steeel spoon with a M4 thread on the end that can easily be screwed on the instrument part. 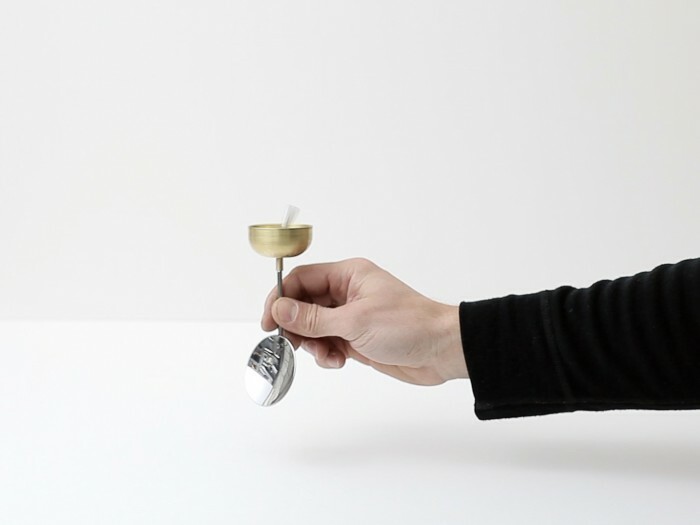 Once connected the spoon can be used as a cutlery tool as well as a musical instrument. Techniques used: filing, sawing, soldering, sandblasting, brushing. Cleaning instructions: The spoon part can be taken off the instrument and washed in the dishwasher or by hand with water and soap. The instrument part can be cleaned carefully with a dry towel.